Microbiologist Dr. Richard M. Losick will deliver the 6th Annual Sharon Cosloy-Edward Blank Lecture at The City College of New York 4 p.m. Wednesday, November 9. The topic of his talk will be “Life and Death of a Microbial Community.” The lecture, which is free and open to the public, will take place in Room 250, Shepard Hall, and will be followed by a reception in Room 150, Shepard Hall. Dr. Losick is the Maria Moors Cabot Professor of Biology, a Harvard College Professor of Molecular and Cellular Biology, and a Howard Hughes Medical Institute Professor in the Faculty of Arts and Sciences at Harvard University. His laboratory studies the development of Bacillus subtilis, a harmless spore-forming relative of the bacterium that causes anthrax, which can undergo elaborate cycles of cell division and differentiation. The resulting cells possess identical chromosomes yet switch on different sets of genes and take on distinct roles. These differentiated cells develop into communities with complex architecture called biofilms, eventually forming aerial structures tipped by cells that become long-lasting dormant spores. Professor Losick and his colleagues investigate how individual cells determine which genes to express, or switch on and off, to become one kind of cell or another. They find that cells communicate with each other during development via a kind of biochemical “crosstalk” to regulate gene expression for growth, community coordination, and spore formation. His interest in interrelationships and communication extends to the academic community with its dual duties of research and teaching. Professor Losick embraces and promotes the role of teacher-scientist and endeavors to create a culture promoting excellence in teaching as much as in research. In 2002 Professor Losick developed a program to expose disadvantaged students with passionate interest in the life sciences to the excitement of working in top Harvard labs. The multi-year program called FEEDS (Freshman from Economically or Educationally Disadvantaged Backgrounds in Science) gives participants an opportunity to conduct actual research. It is funded by a million-dollar grant from the Howard Hughes Medical Institute. He has also helped develop a new undergraduate research course using alternative technologies and helped infuse Harvard’s introductory courses in the life sciences with the excitement of high-level research. In recognition of these efforts, Professor Losick was named the Harvard College Professor for excellence in teaching in 2002. 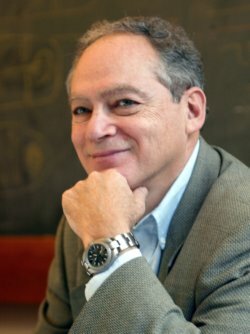 Professor Losick is a member of the National Academy of Sciences, a Fellow of the American Academy of Arts and Sciences, a member of the American Philosophical Society, a Fellow of the American Association for the Advancement of Science and a Fellow of the American Academy of Microbiology. In addition, he is a former Visiting Scholar of the Phi Beta Kappa Society and has received the Camille and Henry Dreyfus Teacher-Scholar Award for excellence in teaching. He is also a recipient of the Selman A. Waksman Award of the National Academy of Sciences and the Canada Gairdner International Award. Professor Losick received his AB in Chemistry from Princeton University and his PhD in Biochemistry at the Massachusetts Institute of Technology. CCNY alumnus Edward Blank, ’57, established the Cosloy-Blank Lecture Series in memory of his late wife, Professor Sharon Cosloy, who was a beloved member of the City College biology faculty for 27 years and served as chair of the biology department. Sharon Cosloy was an adored mentor, educator, wife and mother, and a passionate investigator of life and science. The lecture is presented by CCNY President Lisa S. Coico and the CCNY Department of Biology.